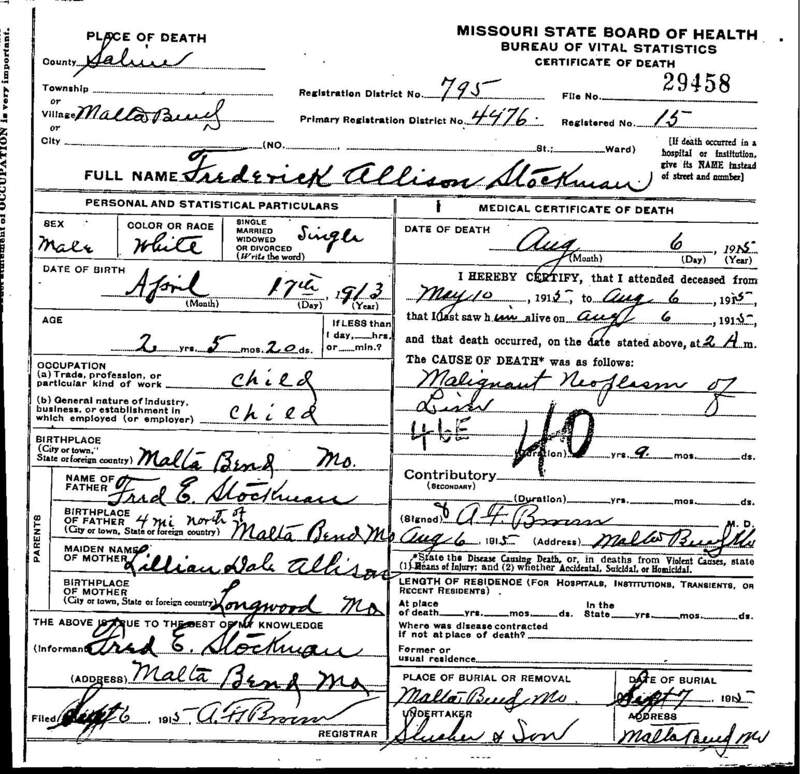 "Death Record - Frederick Allison Stockman"
Birth location: Malta Bend, Saline County, Missouri. Cause of death: Malignant neoplasm of liver. Death location: Malta Bend, Saline County, Missouri. Burial date: August 7, 1915 (Note this death certificate has September 7, 1915, but this is probably a mistake). Burial location: Malta Bend, Saline County, Missouri.